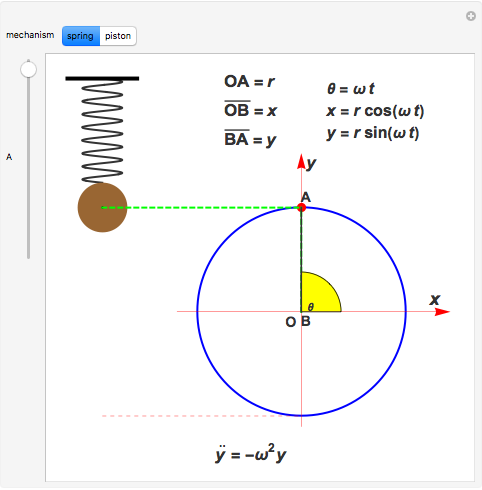 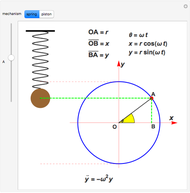 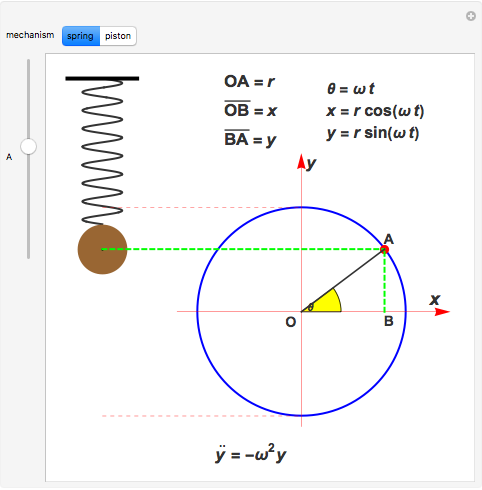 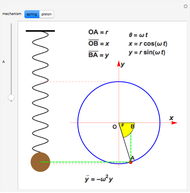 It helps to understand how to get the differential equation for simple harmonic motion by linking the vertical position of the moving object to a point A on a circle of radius . Computing the second-order derivative of in the equation gives the equation of motion . 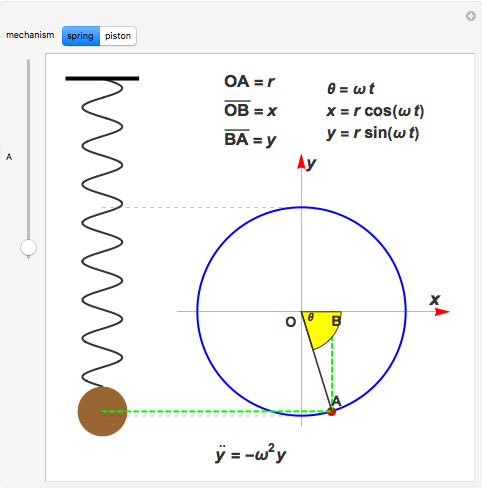 Paul Rosemond "Simple Harmonic Motion"